Mt. Sanbe stands in Ooda City, Shimane Prefecture, which lies on the north side of the western Japan. 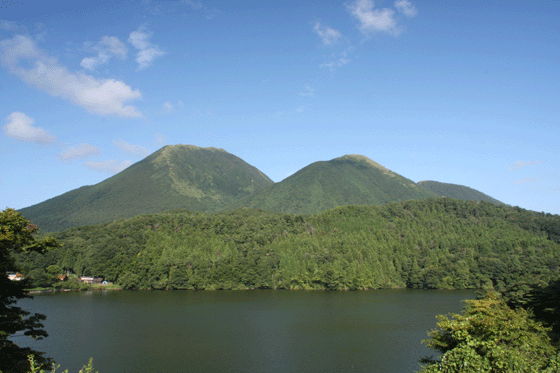 It is a dormant volcano, 1,126 meters above sea level, which is covered with rich green now. Almost 4,000 years ago, the volcano erupted. The eruptions of lava, rocks and sands fell down the mountain spreading over the surrounding lands, and swallowed up the green forests in the Azukihara valley. 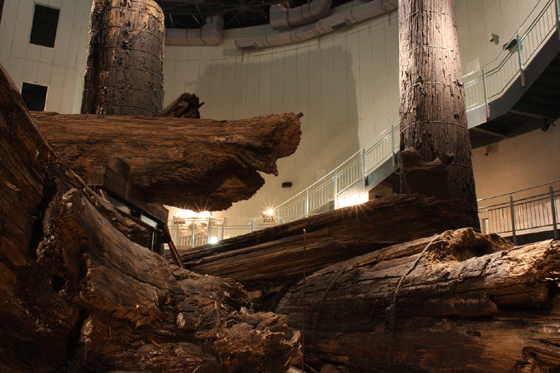 The Sanbe-Azukihara Buried Forest is the hidden forest where many giant trees have been lying under the ground since the ancient times, that is the result of the volcanic eruption of Mt.Sanbe around 4,000 years ago. The diameter of the tree standing at the right side is more than 2 meters.